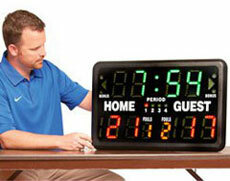 This MacGregor Indoor Tabletop Scoreboard is an ideal digital scoreboard for basketball, baseball, wrestling, volleyball and much more. 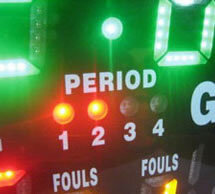 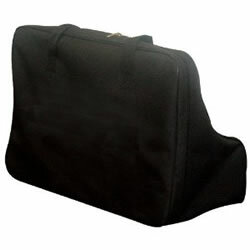 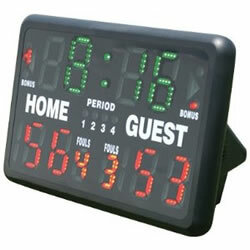 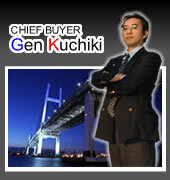 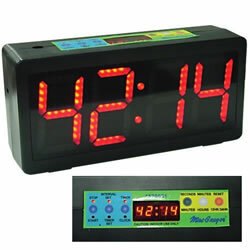 This superior quality scoreboard acts as a metronome, stopwatch, alarm clock and program timer. 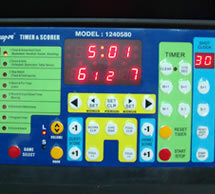 NOW INCLUDES WIRELESS REMOTE (100' Range) allowing operator to change scores & start/stop the clockThe Indoor Scoreboard scores to 199.